Today, it’s all about the working man. Men’s boots come a dime a dozen, but they don’t always pack the proper power that you need to actually move through the workday. Muck wanted to change that. Regardless of what field you’re in, they know that your job get dirty, and half the day’s muck end up on you. Every boot is waterproof, every boot is backed by a warranty, and everything they make is meant to last. 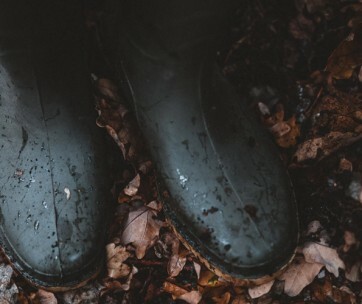 It’s time to pull up your bootstraps, and get a look at the best Muck boots for men that they’ve ever made. It’s time to cut through the mud and the muck. While Arctic Sport boots are winterized to give you better footing in snowy and icy conditions, it primarily functions as a highly resistant work boot. From the 100% waterproof rating from head to toe, to the neoprene interior (which wicks away sweat), it all seems fantastic. That is, until you get to the temperature rating. You can use these on light winter days, but don’t go hiking or trekking into negative temperatures with these. The lining doesn’t retain your body heat all too well. On top of that, you can feel the creases where the ankle cuff meets the black extension. It’s not terribly inconvenient when you have thermals on, but if you’re dealing with shorter socks, it’s mildly irritating. Despite those character flaws, you’ll be walking on a durable EVA footbed to maintain your stability, and offer excellent support throughout the day. Removable rubber insole for cleaning, excellent traction in slippery conditions, and a one-year warranty on all Muck products. No more floppy hunting boots. Even when you kick these off, they’re not going to lose their shape. Muck’s Arctic Hunting boot has a strip of material running up the calf, which helps you stabilize when they’re on, and reduces the stress of your upper bending over when they’re off, effectively increasing its lifespan. The only problem with that? The material we’re talking about is fabric and synthetic. While the entire boot is waterproof from top to bottom, for the price, we would expect a high-grade rubber to offer better protection. At the top of that strip of synthetic material is a pull-on loop, or so they say. It’s incredibly small and doesn’t provide much support when you’re trying to slip these on. Muck did include a layer of foam in the underlay, reducing how much of your heat transfers through the boot and into the snow. Better insulation, stronger calf, and an excellent set of treads underneath for the perfect grip in snowy and icy conditions. Muck doesn’t just make work boots, they’re also helping you get things done in the garden. These rubber gardening boots give us a perfect view into Muck’s inexpensive lineup of boots, while still bringing in premium properties. For one, you get a comfortable footbed that offers excellent support, blended with airmesh to provide breathability. These work wonderfully even in subfreezing temperatures, but it’s when you hit the other end of the thermostat that you run into problems. Muck made these as lightweight and comfortable as possible, but that doesn’t stop them from suffocating your feet in hot weather. If you’re in 70 F or above, it’s going to get a little uncomfortable. On top of that, the upper is nice and fairly waterproof, but when dirt sticks to it, it really sticks to it, and makes cleaning a bit of a chore. With all that aside, you still get excellent shock absorption through the treads and heel, a reinforced toe box, and a durable nylon pull-on loop that makes slipping into these simple as can be. 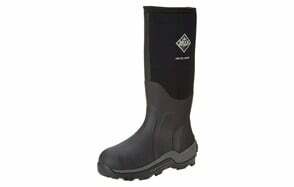 Be sure to also check out our list of the best waterproof boots for more great items like this. Muck made a fantastic boot, and the Chore would have capped our list, had it not been for one fatal flaw. While the entire exterior is waterproof as can be, and these are fantastically simple to clean inside and out, they fell short on sizing. Muck is famous for having a high size-to-fit ratio, but something about the Chore just doesn’t feel right. These Classic Rubber Work Boots have both run small and large for hundreds of customers despite the clear and concise sizing options. It’s a shame, because the rest of the boot is excellent from top to bottom. Deep treads on the bottom help you conquer stone, dirt and even snow if you find yourself in a winter setting. If it’s January and you’re shovelling snow, you’ll be happy to know that these have a neoprene interior. Ultra soft, sweat-wicking neoprene offers immense comfort, while the airmesh technology keeps everything aerated. No fungal growth, minimal odor when you kick these off. The only other downside of the Chore is that they’re very heavy on your feet. You can use these as rain boots as well. Muck is your go-to for staying warm and supported throughout those snowy months. These Arctic Pro snow boots allow you to trudge through -60 F conditions without running out of warmth. Thanks to the fleece lining and neoprene interior, heat is retained throughout the calf and down into the EVA midsole. Support, heat retention, all sounds pretty good, right? They didn’t hit all the nails on the head. The upper feels excellent even up against your bare skin, but only for so long. After about two years of use, it’s prone to getting a bit ratty and wearing down, while the other areas of the boot hold up just find. This might require a bit of DIY, but even so, it doesn’t impede upon the heat retention capabilities. Other than that, we just wish the neoprene ran through the entire calf section as well. Fully waterproof, designed to withstand the toughest conditions, and easy to slip on with the nylon pull-on loop. A great snow boot by all accounts. In the theme of all things winter, Muck made their Arctic Ice Extreme, but left some of the “extreme” out of the build. While these are rated to support up to -40 F conditions, their other boots can handle -60 F and aren’t marketed as “extreme” winter boots. The heat retention is all thanks to the fleece lining and neoprene interior, which holds up well as time marches on. What doesn’t hold up well is the rubber insole. While it’s removable for cleaning, it will need to be replaced after about one year, possibly extending into eighteen months. We’re not sure what went wrong in the design stage with this, because Muck’s insoles on their other boots all fit the bill. By no means is this an invalid choice for your winter boot: you still get 100% rubber construction, and the added benefit of Spandura for maneuverability while wearing (and it also helps slipping them on and off easier). They’ll keep you warm, they’ll keep you protected, they just require a bit more TLC than their other lineups. You want to master the muck? Forgive us for that horrible segue into these top-notch boots, but we just couldn’t resist. The MuckMaster boots come in a 15” hi-cut design, fitted with a few features we think you’ll flip for. For one, even though these aren’t designed for winter use, you’ll still feel heat retention in temperatures as low as -20 F. Apart from that, the EVA midsole keeps you plenty supported and mighty comfortable through the messiest of situations. The MuckMasters fall short in a few minor categories. We know it’s not designed for winter, so the neoprene interior shouldn’t be much of an issue. It’s not the heat retention, it’s the thin 5mm lining that makes this boot a little less comfortable as you go up the calf. Mix that with the pull-on loop, which is essentially just a cosmetic feature, and we ran through our short list of let-downs. The MuckMaster will get you through your long days, just with a little less comfort than their other pairs. Our handy guide to the best ski boots features more great products like this. Their Chore lineup, possibly one of their most successful, is back with some added power. We want to get the skeletons out of the closet on this one: you can work in temps up to 95 F in these, but nothing below 40 F. That’s right, not even the freezing temperature, or you’re going to witness expansion and retraction in the steel toe. That can seriously warp the materials, and overall, they’re not going to insulate you in those conditions. In the heat, these are a dream come true. Fully breathable fabric exterior with excellent waterproofing, mixed with the rubber construction to help reflect heat when available. You’re getting another boot with wafer-thin neoprene lining, which isn’t our cup of tea. One of the best aspects of the Chore steel toe edition is the Spardura addition in the rubber exterior. These stay flexible for work, but also make it a much easier time when you’re kicking them off at the end of the night. Love these? Check out our review of the best Ariat boots for our top picks. In the design of their flagship boots, Muck made this CR Flex Foam boot to emulate what brought them greatness in the first place. The only problem is, we personally didn’t like this boot, but can’t deny the viability of its features. CR Flex Foam doesn’t entirely justify the cost, but it is rated to last up to twice as long as rubber, while also providing a fantastic temperature range from sunfreezing up to 85 F. That’s pretty excellent, and we can see why Muck engineered these in this way. Long lifespan, but not a ton of comfort. While you have a soft lining helping you out, the only truly flexible fit comes in the stretch-fit topline. That allows you to slip these on easily, but it doesn’t help when you’re pulling them back off. The removable rubber insole and 100% waterproof rating are excellent as well, we just wish this came with a pull-on loop to lend a helping hand first thing in the morning. Don’t forget to also check our guide to the best Chukka boots. Winter is approaching, you’re told there’s going to be feet of snow on the ground before January, so what are you to do? Muck’s got the solution. These aren’t the most comfortable, but they’ll certainly help you get the job done in no time at all. 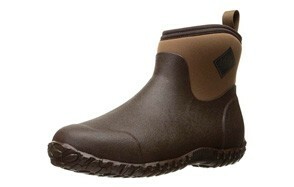 The Excursion boots come with a CR Flex Foam insulation system that accompanies fleece lining. We only wish they used more fleece, because it feels a bit rigid when you slip into it. You’ll benefit from the sock liner as well, though it is non-removable. The real MVP feature of these boots is the -40 F temperature rating. They’ll keep you warm as can be, and the rubber insole is removable to let it dry if a bit of snow manages to find its way into your boot from the cuff. Muck did find the best use for an EVA midsole that we’ve seen yet, because they include custom treads on the bottom that breathe and contour to your foot, while also shaping to the ground. Stellar support, great grip, and a true-to-size fit. 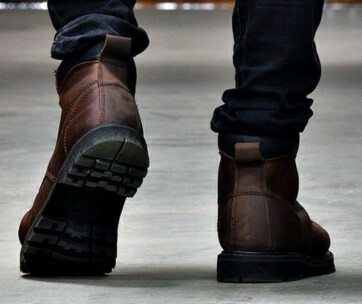 Find more great products like this by checking out our guide to the best Chelsea boots. Hunting season is just around the corner, and it’s time to have a bit more support and comfort through your five-mile hike through the underbrush. These camouflaged boots come with a very miniscule Muck logo to maintain the element of surprise, and are crafted completely out of synthetic materials. 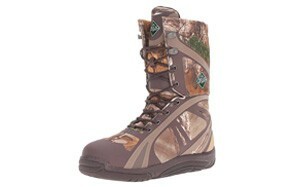 The best part about these hunting boots is the EVA midsole, which provides extra cushioning and absorbs shock. These Woody Sport Hunting boots are fully waterproof, but Muck could have done a better job with the pull-on loop. Since these are 15” high, the tab comes in handy more often than you’d think, and this one is barely there. Besides that, since they updated the mold in 2017, there have been some sizing problems. While we didn’t encounter it, it’s a common and undeniable problem. For more waterproof options, check out our Gore-Tex boots review. We’ve come to the end of a long list of Muck’s top-of-the-line boots, ending with a superior Pursuit Shadow hunting boot. First and foremost, they’ve used an EVA midsole to really drive the support and comfort home. What they didn’t sell us on is the lack of waterproofing that we’ve become accustomed to with Muck boots. Your waterproof treatment only lasts for about ten hours of use, possible fifteen under the right circumstances. You can use a high-quality waterproofing spray for your sneakers, but the fact of the matter is you shouldn’t have to. You’re expected to walk for hours in your hunting boots, which is why we’re a bit baffled that they didn’t reinforce the heel to provide comfort or support. You’ll be able to use these in severely low temperatures, the tongue is comfortable, but we don’t recommend them for hunting trips that span your entire weekend. Every great company, especially ones that we dedicate entire buying guides to, bring something unique to the table. Something that nobody else has to offer, at least not in the same light. Muck is a trendsetter, a trailblazer for the working man. Every single workboot they create is 100% waterproof, built with the same quality and attention to detail that Muck pour into everything they make. But who are they? They’re a simple company, run on basic principles: make it waterproof, back up what you make, and make sure that it’s better than the next guy’s. 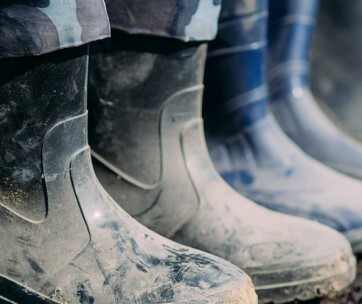 Until you slip into a pair of Muck boots, you won’t fully recognize just how powerful they are, and how much easier they can make the dirtiest jobs. Even though they back their products with a 12-month guarantee, they’re built to last throughout the years, so long as you treat them right.